Heavy Metal Test Kit | No matter where your water is sourced from the likelihood of your water containing traces of potentially harmful metal is quite high. Water is delivered to your tap through many kilometers of pipes which can leach metals such as copper, lead, iron and in some cases mercury. Exposure to these heavy metals over a long period can cause serious health effects including developmental issues, cancer, organ damage and nervous system damage. The Allora 5 in 1 Heavy Metal Test Kit detects a five of common metals in water within 60 seconds. No mixing chemicals, using mechanical readers or sending your water away to be tested. The Heavy Metal Water Test Kit checks for the presence Lead, Fluoride, Iron, Mercury and Copper. Simply dip a test strip into water and read the results within 60 seconds. The test kit is non-carcinogenic making it easy to use at home or the workplace. Heavy Metals can be detected in most sources of water including the following. Bore water can be contaminated due to natural minerals leaching into aquifers. Human usually generally poses the greatest impact on shallow ground water as a result of chemical spills, excessive use of fertilisers, animal manures, pesticides, insecticides and chemical or industrial waste. City water is tested at the source though delivery of water from reserves to the tap can cause contamination due to materials used in plumbing. Lead, Iron, Copper and mercury all pose a threat to the quality of drinking water. Tank water is normally collected from roof tops made from heavy metals and delivered into the tank with additional metal pipes and plumbing. If roof tops or plumbing are not maintained and checked for any hazardous materials such as lead, rusted iron or corroded copper pipes, these all pose a threat to the quality of your drinking water. How can you tell if your water is contaminated? It is not always noticeable that your water is contaminated until its too late. Some signs of contaminated water can include, and not limited to the following. 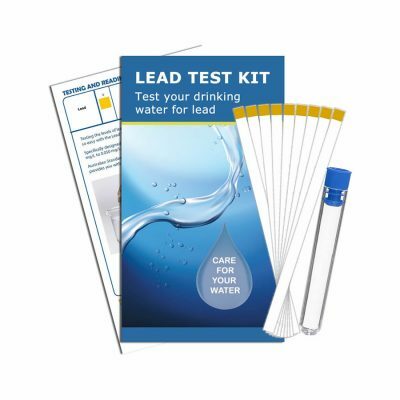 The Heavy Metal Test Kit range includes the following which is within the Australian Drinking Water Guidelines. Results which are presumed to be safe for drinking water, Lead 10 ppb, Fluoride 1 ppm, Iron 0.3 ppm, Mercury 0.001 ppm and Copper 1 ppm. 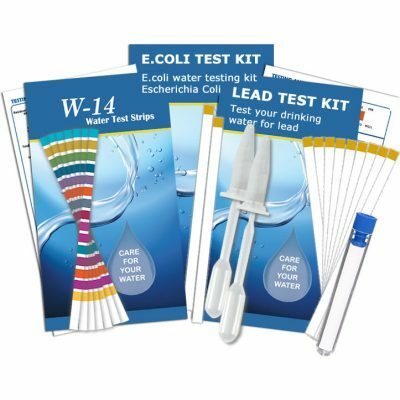 The Heavy Metals Water Test Kit is designed to provide you with results of your water quality within 60 seconds. No need to use technical devices or mix chemicals to get your results. 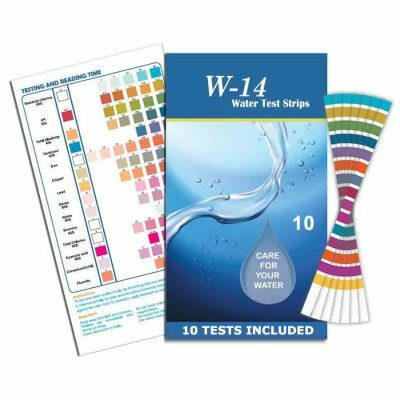 Do not remove test strips from packaging unless you are ready to test your water. Open the heavy metal water test kit packaging and remove one test strip, re-seal the packaging straight away. Dip the test strip into your water sample or place under a running tap for a few seconds. Shake away any excess water and place test strip onto a flat surface for 60 seconds. 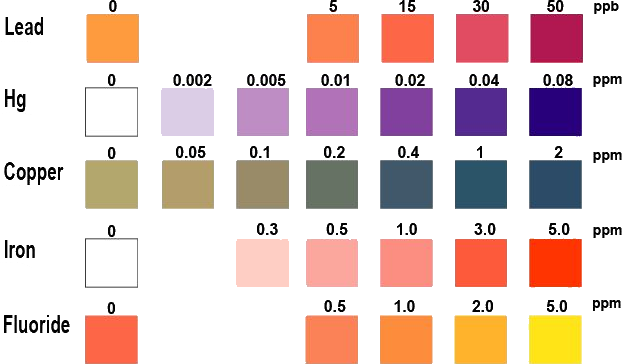 Match the test strip results with the colour chart on the back of the packaging. Note down results and test from other locations. 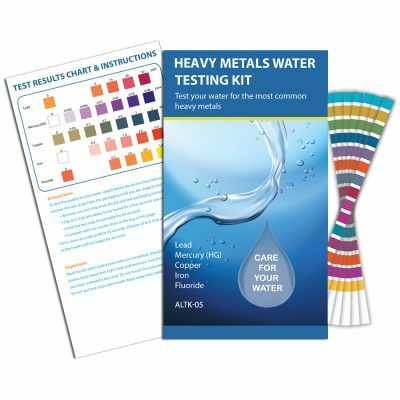 To purchase the Allora Heavy Metals Water Test Kit, simply click here: Heavy Metals Water Test Kit. 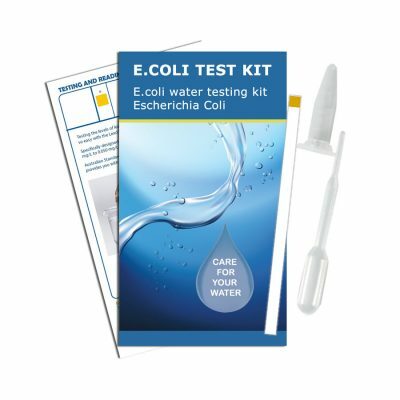 If you would like more information before purchasing your test kit, submit your enquiry here, Water Test Kit Enquiries. A member of our team will reply to your enquiry promptly.